You have just finished writing the perfect blog you have dedicated your time and effort on. How about spending hours developing a brand new website, only to discover that you lack that awe-inspiring image. Maybe you have proceeded surfing the Web looking for that said image, only to discover that through all the time spent registering an account that there was a hidden fee within the small print. Now imagine this scenario repeating again and again. What if you finally found that website that offered free images, only to be deprived of the satisfaction due to low resolution, watermarks, blur or just a plan uninspiring image. The truth of the matter is, high-quality stock photos often come hand-in-hand with a rather unpleasant fee. It is due to this that many people simply refuse to spend the time searching for high-quality images. Instead, they will continue to push out cheap and tacky stock photos to serve as a representation of their brand. Although, investing the time in searching for these websites will eventually lead to you striking gold. We know that your time is precious, and not everyone will have the time to dedicate their efforts to finding these websites. Instead, we have done the effort for you. 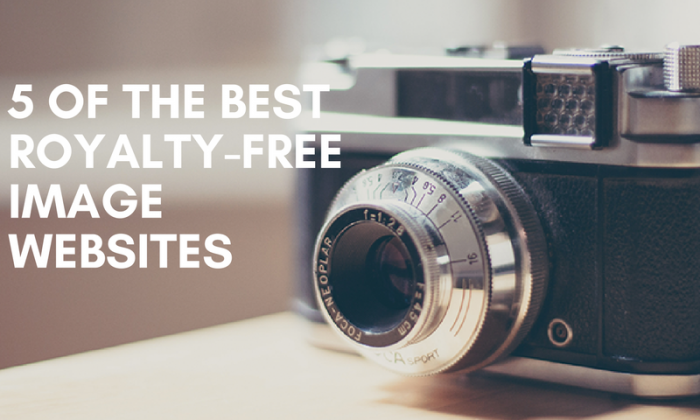 We have taken the liberty of searching the internet and creating a small list of what we believe are 5 of the best high-quality, royalty-free stock photo websites. 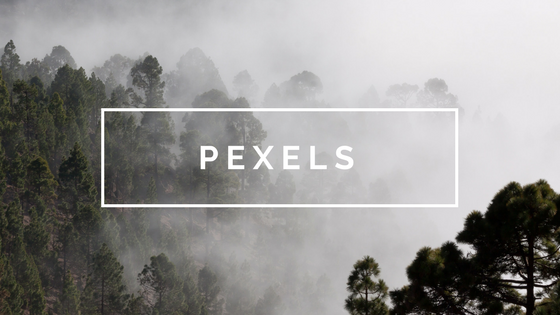 Pexels offer a wide variety of hand-picked, high-resolution images collected from a diverse range of sources. So you can be sure to know that you are only receiving the best of the best. The clean, slick and simplistic interface allows you to easily forage through thousands of images in varying categories from beautiful, breath-taking scenery to striking skylines. You also have the ability to customise the sizing of each and every image you find before you decide to download. No more conforming to the standard small, medium and large options you may be familiar with. By offering a flexibility option to their users, Pexels asserts themselves as the one-stop shop for all your pictorial desires. All images offered by Pexels are licensed under the Creative Commons Zero (CC0) License, meaning all pictures are completely free to be used for any legal purpose, whether this is for personal or commercial use, with no attribution required. Find out more about Pexels’ licensing. Unsplash offer exclusive new royalty-free images every 10 days, and we have grown very fond of the unique images they serve up. The sophisticated nature of each image ensures that you are not being provided with any of the tacky “fake smiling employees in a meeting” style shots. Although downloading images on Unsplash does not require any attribution, they do encourage you to credit the original photographer where possible. It’s not much to ask in return for a free high-quality image, right? 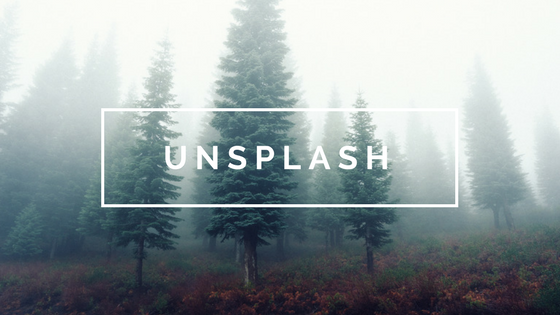 If you find an image that takes your breath away, Unsplash gives you the ability to learn more and explore more pictures from the photographer. As we have previously mentioned, each image on Unsplash is royalty-free. Every image is licensed by the Creative Commons Zero (CC0) license. Users have the freedom to download, copy and modify any images they download from Unsplash without any attribution required. Find out more about Unsplash’s licensing. Now we move onto our third option; Kaboom Pics. 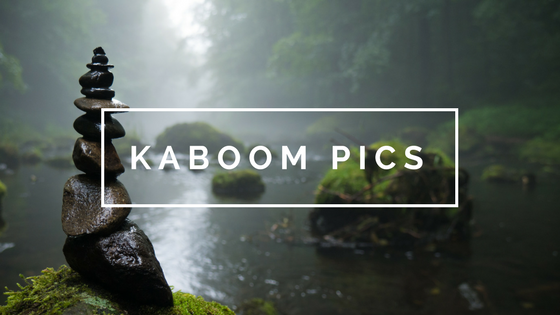 Kaboom Pics is an exceptional resource for offering high-quality images. Whether its food and fashion or nature and travel, Kaboom Pics covers a variety of categories from which users can explore and download for whatever they like, commercial or otherwise. We feel Kaboom Pics goes above and beyond the rest through providing a complementary colours palette with each image. The colour palette generate from each image comes with its own corresponding HEX colours, allowing you to adapt each image towards whichever project you are undertaking. No more worrying if an image will look out of place or change you colour scheme. Check out more of Kaboom Pics’ licensing. 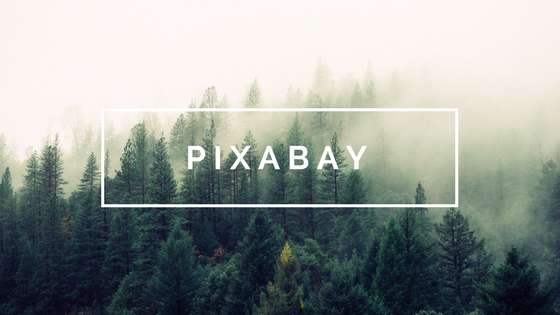 With help of their slick and instinctive design, Pixabay serves as a repository for just under 800,000 free, high-quality images and illustrations. All of these images held in Pixabay’s repository are licensed under the Creative Commons Zero (CC0) license. Many stock image websites may require you to manually cipher through thousands of images to find what you are looking for, but not Pixabay. Pixabay simplifies your hunt for the perfect image through their main search bar allowing you to filter your images down by different factors including type, colour, orientation and even dimension size. Once you have located your perfect image and chosen a suitable resolution, you are required to complete a Captcha to finalise the download process. However, you can cut out this extra process by signing up to a free account on Pixabay, although it is not required to download the image. Discover more about Pixabay’s licensing. If you still find you are strapped for time to manually search for images, then fear not. 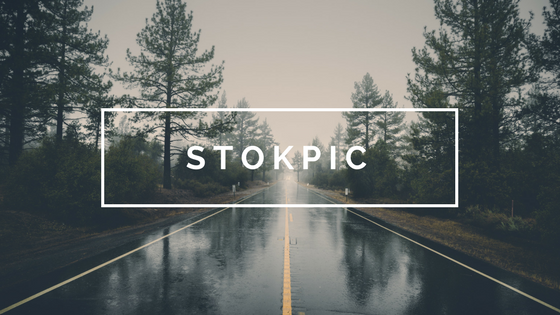 Stokpic will allow your mind to focus on the more important things by offering you the ability to receive 10 premium, hand-picked images sent directly to your inbox every fortnight. However if time is on your side, you can easily search through a range of categories including technology, people and landscapes until you find your perfect image. Similar to every resource we have mentioned previously, all image on Stokpic conform to the Creative Commons Zero (CC0) license. So again, you are free to copy and modify the images to your hearts desire. Discover more about Stokpic’s licensing. We specifically picked out what we believe are the fives best free stock image websites currently available. That is not to say that there are not alternatives out there. Instead, we felt it would be good to give some honourable mentions to other websites we feel should have some recognition for you to check out yourself. Whether it’s art or technology you are looking for, Negative Space serves up brand new stock photos weekly. From stunning portraits and landscapes to sleek work stations, we are confident that you will not be disappointed with the collection Negative Space offers. Negative Space invites anyone with a camera to contribute to the image warehouse, giving amateur photographers a platform to distribute and share their work with fellow creatives, and the world. 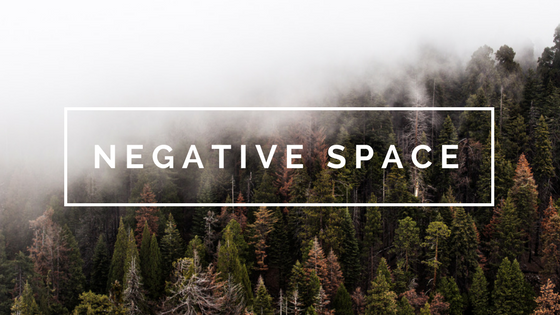 Sifting through the masses of images on Negative Space could not be easier with the help of their filter option, allowing you to sort images by category, copy space position and colour effortlessly. Also, to continue the on-going trend, all images on Negative Space are shared without any copyright restrictions, allowing you to use them however you please. Check out more about Negative Space’s licensing. If you are a modern creator looking for stunning lifestyle imagery, then you have come to the right place. Free for Commercial Use provides free, authentic, high-resolution 300dpi images for your next personal or commercial project. You may find the selection of images on this website very limited, and with only 1040 images you may be right. However, in this case you could apply the popular saying; ‘quality over quantity’. Similar to all other websites throughout this list, all images distributed by Free for Commercial Use are licensed under the Creative Commons Zero (CC0) allowing you to modify, copy and distribute the images without permission. 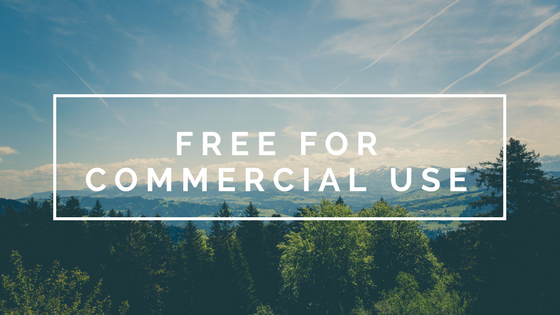 Find out more about Free for Commercial Use’s licensing. It is worth noting that choosing a stock image website is entirely subjective. You may find alternative websites that more closely suit your needs and requirements than the ones we provided in our list. We hope that through the help of our list, we have given you a head-start on finding the perfect image for you. Which website from our list do you prefer? Do you have any other websites not mentioned in our list that you prefer? We would love to hear!